Politics is one subject which always manages to garner the attention of the citizens and force them to put forward their opinions. While some do this by writing articles about it, others just get it printed in their wedding cards. Yes, this Gujrat couple, who were adamant followers of PM Narendra Modi, explained the much talked about Rafale deal in their wedding card and it went viral in no time. 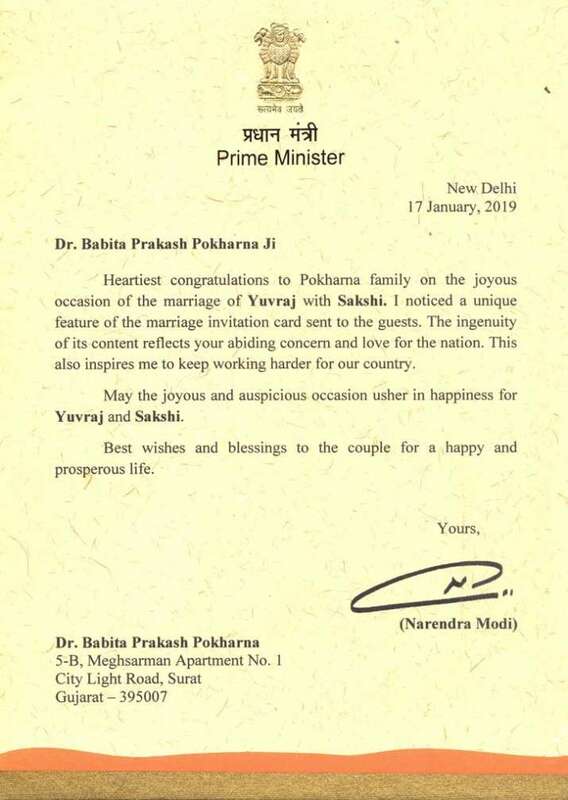 On the first page of the popular wedding card of Yuvraj Pokhrna and Sakshi Agrawal, the couple requests the guests saying, "Our gift would be whatsoever you may wish to contribute towards BJP via NaMo app.” On the second page, where all the details related to the event should be written, the couple had a nine points long explanation defending the popular Rafale deal. Interestingly, Yuvraj Weds Sakshi wedding card had another leaflet that reads “Keep calm and trust NAMO”. The wedding caught which was shared by Yuvraj on his social media not only attracted attention from the netizen but is also awarded a place in Gujrat book of Records for being the most viral wedding card. This is not the first time that people have showered support on the Modi led government through such creative ways. Earlier this year, another couple Dhaval and Jaya made headlines by seeking votes for Modi government through their wedding card.